Let’s face it–failure is never fun to think about. And when it comes to blogging or running an online business, most of us are constantly keeping score. Have a post go viral? It’s a win. Get those page views up? Another win. Secure a sponsorship, get invited to a guest post on a popular site, or get a mention in the media? Win, win, win. Launch a successful product? Huge win. But what happens when we lose? What if our product doesn’t do as well as we’d hoped — or, worst-case scenario, crashes and burns? Believe it or not, we still win. The truth is that some of the most valuable lessons we’ll get in our businesses come directly from our “failures”. 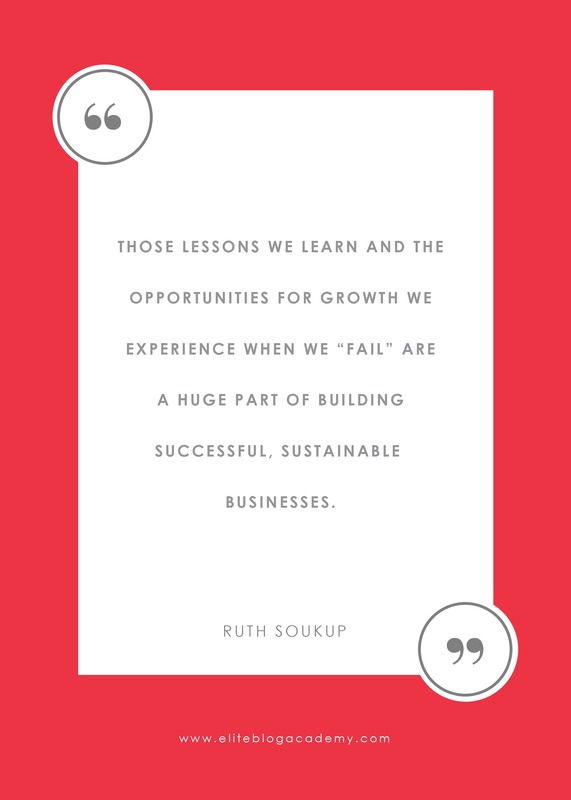 Click To TweetThose lessons we learn and the opportunities for growth we experience when we “fail” are a huge part of building successful, sustainable businesses. So if you’re scared of launching a product because you’re worried it will fail, don’t be! No matter what happens, it will be a win: either your product is successful, or you learn the lessons you need to learn in order for your next product to be successful. That being said, we want our product launches to be successful. And if we want to be successful with our launches, we need to understand what might keep them from being successful. Sometimes, the problem isn’t the launch — it’s the product. If the product we launch doesn’t address a felt need or solve a problem for our target customers, it 100% is going to flop. I saw a perfect example of this kind of product problem on one of my many Shark Tank view-a-thons (what can I say? I love it!). On this particular episode, there were two gals pitching a product called Balm Chicky Balm Balm. It was a lip balm that had two ends: one for you and one for a friend. So, if a friend asks to borrow your lip balm, you can share it with them without getting their germs on your lip balm — they can just use the “friend end”. Now, these gals did an awesome job creating the product; they got a patent on the double-ended tube, their marketing was really cute, and they presented the product well. Is a double-ended lip balm something that anyone actually needs? Is friends asking to borrow lip balm a big problem that a large portion of the market faces? No! So, even though the product was cute and they did a good job with the patent, packaging, and marketing, they were trying to solve a problem that doesn’t exist — so they walked out of the room without any investors. Their Shark Tank product launch was a flop. If we want our product launches to be successful, the product needs to address a felt need and solve an actual problem. If it doesn’t, it doesn’t matter what else we do — how well we package it, market it, or whatever. If it doesn’t solve a problem, it won’t resonate with our audience — and it won’t be a successful launch. When we’re launching a product, we want to build the value with our audience. That often translates into sharing every single last thing they’ll get with the product. I totally get it! When we work hard on a product, we want to shout all the amazing features from the rooftops. But to customers, the features aren’t what’s important. They don’t care about what they’re getting with the product. They care about what they’ll get from the product. The end result, the transformation, the way the product will take them from where they are to where they want to go? THAT’S what customers care about. And if we want to successfully launch a product, we need to focus on that transformation — not on the features. For example, with Elite Blog Academy, we don’t focus on how many worksheets or how many videos you get when you sign up. We focus on the end result: how EBA gives you the step-by-step framework to build a successful, profitable blog. Instead of saying, “Hey! You’re going to get a workbook!”, we share testimonials from students to show how the course has changed their lives and businesses. A successful product launch happens when our customers can really understand how our products will take them from where they are now to where they want to be in the future. If we don’t want our product launches to flop, we need to focus on the transformation instead of the features. Another big reason product launches flop? The product doesn’t launch to enough people. When it comes to product launches, a safe estimate is that 3% of our audience will be willing to buy at any given time. So, if we launch to 500 people, even if our product is perfect and we nailed the messaging, we’ll maybe sell 15 products. And then we’ll feel like it was a flop. But the problem wasn’t the product OR the launch. It was just that we didn’t launch to a wide enough audience. If we want big results, we need to launch to big numbers. It takes an average of 11 exposures to a product before people are ready to make a purchase. That’s right — 11 exposures! That means that in order to have a successful product launch, we need to get our customers REALLY comfortable with our product before we go for the sale. But that’s where a lot of product launches go wrong. We’re worried about being too pushy or too sales-y, so we don’t promote our launches enough. We don’t send enough emails, we don’t talk about our product on social media, we don’t get our product in front of our audience pre-launch. And then we launch to crickets. Because even if our product is great, we haven’t done enough promotion to get our audience comfortable enough to make a purchase. If we want our launches to be successful, we have to take what I like to call the “blitz approach”. 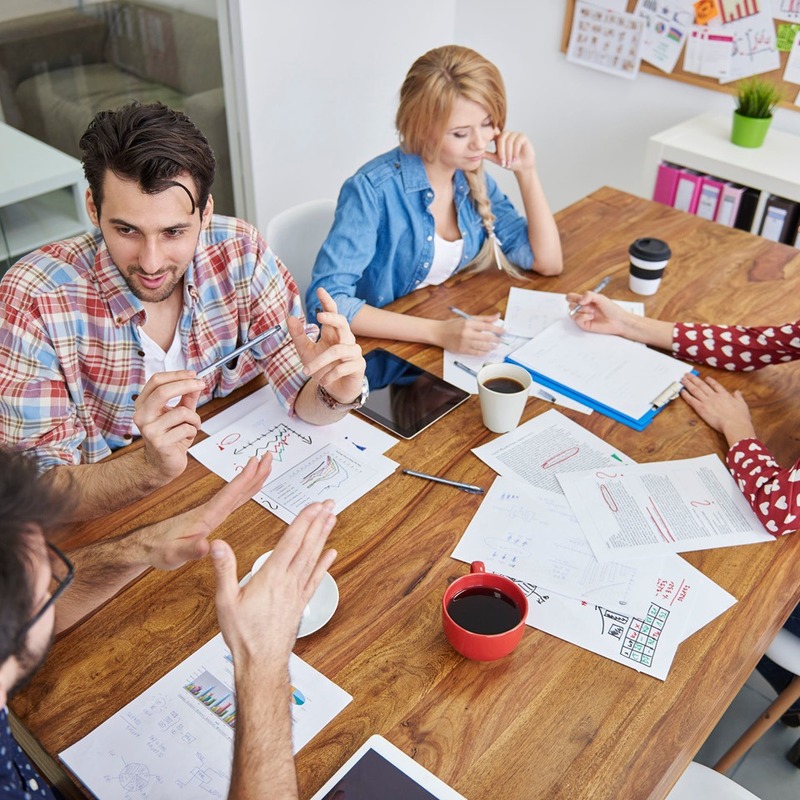 We need to take on promotion from every angle and talk about our product at every opportunity. It’ll feel a little uncomfortable and like we’re promoting things too much, but remember — our audience doesn’t see every email, every social post, or everything we say about our product. They only see a fraction. So if we feel like it’s overkill and we’re promoting too much? That likely means the amount we’re promoting is just right. But a lot of times, we don’t. Because we’re afraid to make the ask. Yet here’s the thing: not making this ask and directly telling our audience why they need our products is doing them a disservice. If we’re creating products that we know will change them for the better, it’s our responsibility to tell them. If we’re not confident enough to say, “YES! You need this product in your life!”, how can we expect them to be confident enough to buy it? Here’s the perfect example : a few months ago, Daisy Sour Cream launched a new packaging concept. Instead of a tub, which is how most sour cream is packaged, they launched a tube that allowed you to squeeze the product on your burritos, nachos, baked potato, or whatever else you wanted to top with sour cream instead of having to scoop it out of a tub. And my husband? He LOVED it. He thought it was absolutely genius! Any time someone came over to the house, he’d say, “I need to show you this sour cream.” And he’d get out the tube, show them how amazing it is, and tell them why they needed to buy it. He doesn’t even work for Daisy Sour Cream, but I guarantee he got them more than a few new customers! If we want our product launches to be successful, we need to be as excited about our products as my husband is about that tube of sour cream. Because if we’re not, we’re not doing the product justice — and our launch will reflect that. People need a reason to take action. If they don’t feel a sense of urgency in purchasing our products, guess what? They won’t make the purchase. If there’s not a sense of urgency associated with our product launches, they flop. People have a tendency to wait until the last minute to do things, so if they don’t see any real reason to buy your product right now, they’ll put it off. If we want our product launches to be successful, we need to create a sense of urgency that lights a fire in people and gets them to buy NOW. If people are on the fence, things like time-sensitive bonuses, price increases, or “the doors are closing” messaging can compel them to make a purchase. It’s like business FOMO — no one wants to miss out on a great deal! So, if we want our launches to fly instead of flop — and our customers to buy now instead of procrastinate — we need to create a sense of urgency and compel them to make a purchase. 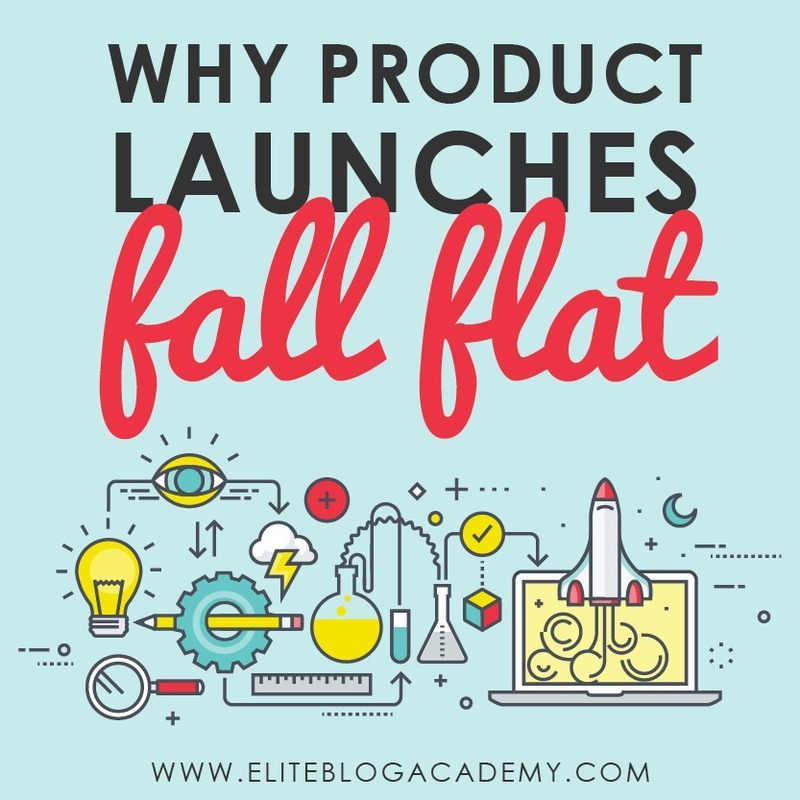 These are some of the major reasons that product launches flop, but again, I want to stress that if you launch a product and it doesn’t go as planned — even if it’s a complete and total flop — that’s okay! A launch doesn’t have to be an overnight success in order to be successful. If you have a launch that flops, all you have to do is dust yourself off, take the lessons you learned, and re-launch. You might have to launch it more than once! And again, that’s okay. It’s not a failure. It’s just taking the time to figure out what works. And when you do, I promise — you will absolutely ROCK your launch. And by the way, if you are looking for some more guidance in rocking your next product launch, be sure to grab our EBA Product Launch Playbook this week only, June 11th -15th! It will show you, step by step, exactly how to plan and execute a successful launch from start to finish. Don’t wait though–it’s only available for five short days! Get it HERE.